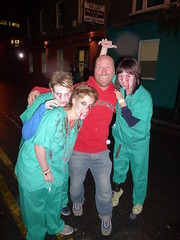 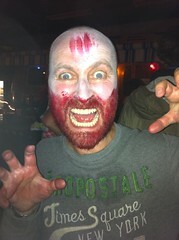 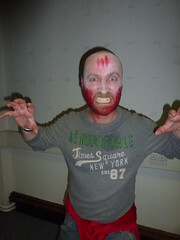 Last week Stuart and I took part in the amazing urban zombie-chase game called 2.8 Hours Later. 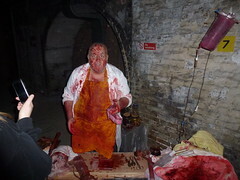 We started the game in Bermondsey Square and when got chased from place to place all over London Bridge Quarter. 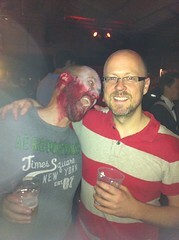 Eventually we ended up in a Zombie Disco in Elephant and Castle. 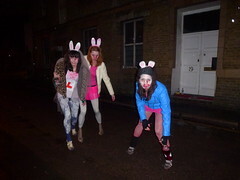 We got chased around town - up and down NCP car parks, through pubs, down narrow streets and in and out of railway arches - by zombies. 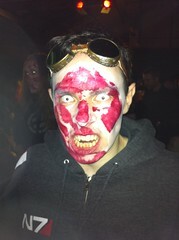 Sadly I got infected. 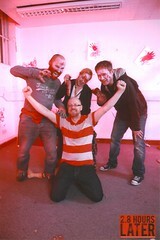 Stuart survived.